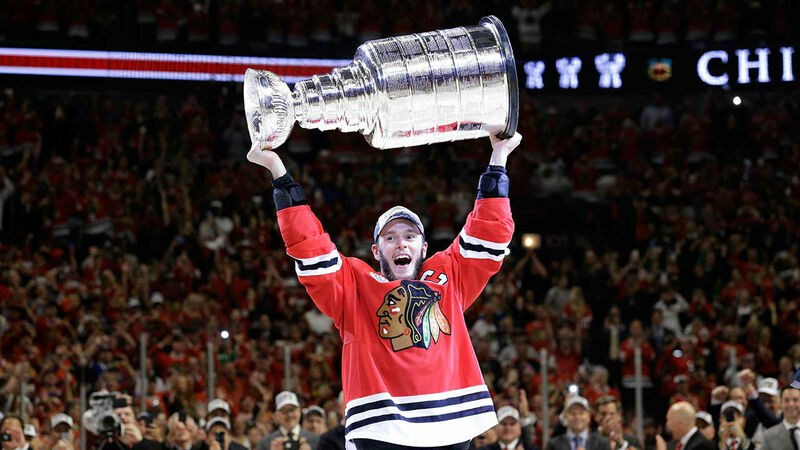 CHICAGO (WLS) -- Chicago Blackhawks tickets go on sale Monday morning. Single-game tickets for 2015-2016 regular season home games will be available for purchase at 10 a.m. Monday. Fans can buy tickets online at ChicagoBlackhawks.com or over the phone at (800) 745-3000. The defending Stanley Cup champions open next season at the United Center on Wednesday, Oct. 7 at 7 p.m. against the New York Rangers. There will be two Friday home games, four Saturday home games and 14 Sunday home games this season. Sunday games at the United Center will begin at 6 p.m. Monday home games will start at 7:30 p.m. The Blackhawks will host four-game homestands on Oct. 17-26, Dec. 11-17, Jan. 6-12 and Feb. 9-15, officials said. The team's longest road trip will be in the fall, from Nov. 18-28.